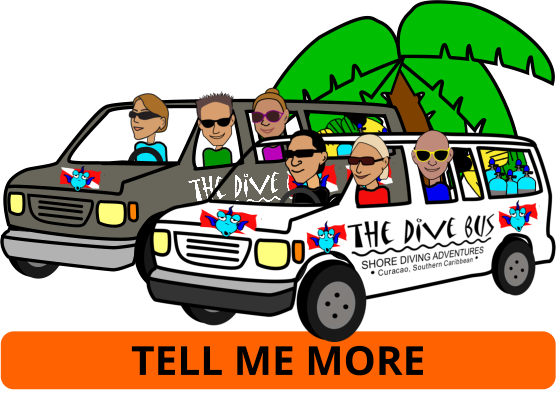 A unique and amazing dive adventure - only available at The Dive Bus! Introducing the coolest EVER Diver Propulsion Vehicles (DPVs): the Pegasus Thrusters. Only available in Curacao at The Dive Bus. If these babies look fast, it's because they are! Developed for and widely used by military search and rescue use in the USA, they - quite literally - leave regular, recreational hand-held DPVs standing. You'll fly through the water at up to almost 1 meter / 3 feet per second , whilst grinning like a kid! That's Pierbaai Reef to Car Pile in about 5 minutes. WoHOOOO!!!" If you're PADI Advanced Open Water certified, come Fly the Reef from Pierbaai Reef to Car Pile on a 1 tank guided dive like you've never done before! If you're not yet PADI Advanced Open Water certified, why not Fly the Reef as one of your five Adventure training dive options? 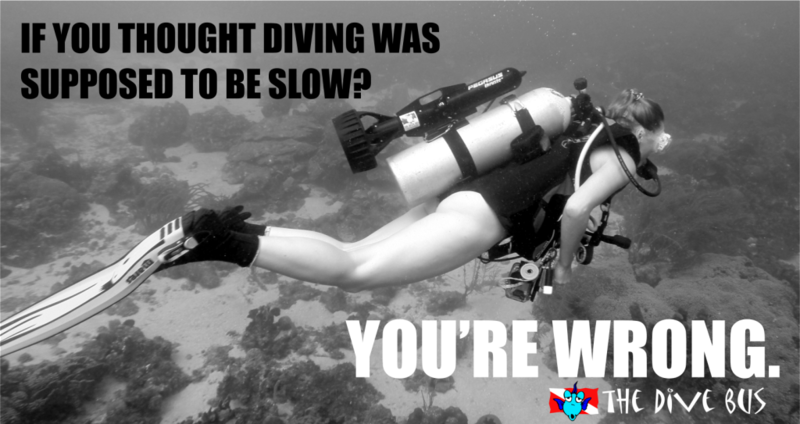 ... in just 2, SUPER fun training dives. The Dive Bus is the ONLY dive shop in the islands with Pegasus Thrusters. So when you feel the need for speed or to fly underwater, you know where to come.